Grey Flannel helped to bring about a reconciliation because after asking him what scent he was wearing we went for a talk outside, as the feuding family members stood about, glaring. 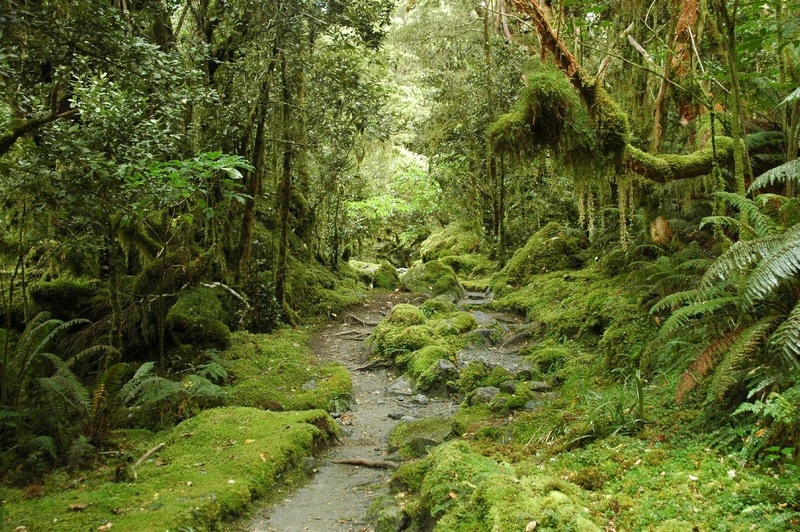 Perfume as a bridge, an arbitrator. Quite obscure now but still available, I didn’t smell this scent for twenty years until my grandfather’s funeral, when my cousin Dominic, who was sitting in the pew in front, had a gentle soap/wood scent that was unusual, beautiful. He told me later that it was Grey Flannel. The happiness I felt at what it brought back to me made me feel almost guilty. There has been a bit of talk in the fragrant stratosphere lately about one of my absolute favorite fragrances. 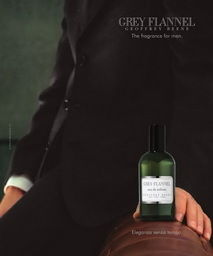 I am referring to the bracing violet leaf men’s cologne known as Grey Flannel. I have my own personal story to tell regarding this groundbreaking fragrance. Will you travel back in time with me once again? It was the summer of 1983 in New York City. 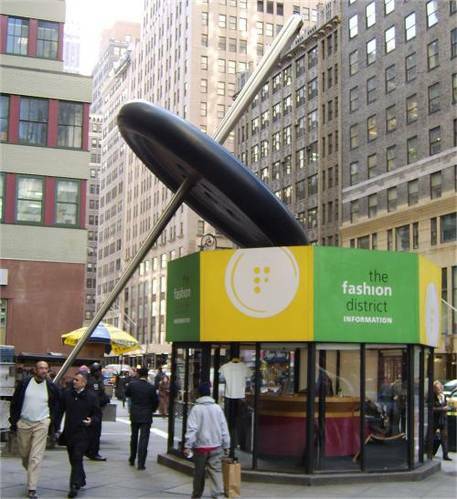 I had just graduated from high school and was working part-time in an office in the garment district of Manhattan. I had always subscribed to the idea that I was surely permitted to wear any fragrance that I truly adored no matter who it was marketed to. One day I chose to wear to work a massive dosage of my newly acquired bottle of Grey Flannel despite the fact that I was a petite blonde haired green-eyed eighteen year old ingénue. Bear in mind that the atmosphere in this office was downright impersonal, professional and stifling. No one spoke on a personal level, everyone flitted about doing their job until the end of the day when all disbursed and went on with their private lives. I was at the copier machine when standing behind me a middle-aged family man with a wife and two children suddenly whispered, “Are you wearing Grey Flannel?” I am sure that I turned fifty shades of red and sensing my embarrassment he glanced around first and then responded with, “No big deal. I actually wear Sweet Honesty at home. It makes me feel happy after a long day of crunching numbers”. (For those of you who don’t know Sweet Honesty was made by an American beauty company called Avon and was a sickly sweet scent very popular with the female preteen crowd). At first I was shocked at his revelation, but then a smile crept to my face. What then ensued was a conversation about all of our favorite fragrances from the past to the present. 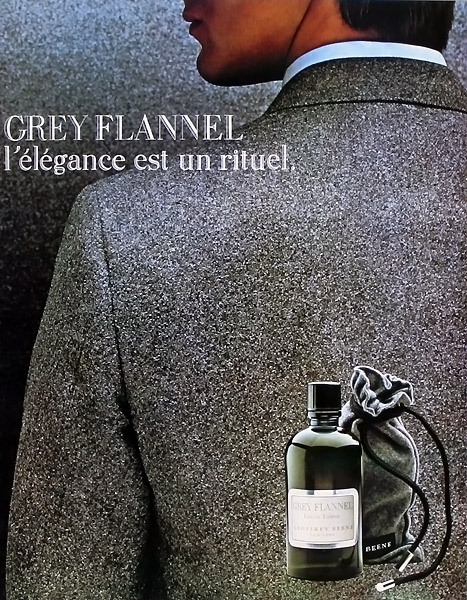 Needless to say I stopped wearing Grey Flannel to work but my newly acquired acquaintance and I would often plan our meetings at the copier where we would stealthily exchange samples and converse on the subject of perfume. There were two lessons I learned that day. For one, fragrance should never be relegated to gender stereotypes. Over the years some of my most adored bottles were Paul Sebastian for Men, Vera Wang for Men, Carolina Herrera for Men, Joop for Men and A*Men (owned by my 11-year-old son but he generously shares with me). The second and more important lesson I learned was that perfume is indeed “a bridge” bringing together the most unlikely of individuals in conversation and comradeship. Leave a comment as to whether or not you share or discuss perfume at your place of employment. Gift Recipients announced April month end. Brie, my first girlfriend gave me a bottle of this. It was unique in it’s time but I did not wear it often therefore I have a bottle of vintage Grey Flannel which I would have liked to offer you for the giveaways on this post but I cannot find it. A visit to my parents may or may not result in a ‘find”. There are a few people at work who know about my perfume habit so it does come up in conversation at times. I haven’t found anyone with a strong interest in it like I have. I think the few people that know are more fascinated by my habit than interested in fragrance. No need to enter me in the draw. Hubby has those scents. You have all of us perfumaniacs to converse with 😀 !!! and may I say yours must be a great smelling house as it seems as though your hubby takes an interest in fragrance as well! I know, and I’m thankful for all of you! Great article Brie. Grey Flannel is classic. It always reminds me of winter in upstate New York, wearing gray rag wool sweaters and sipping coffee from a Styrofoam cup inside the “warming room” at the local hockey arena. Welcome Francis….my fellow upstate New Yorker! 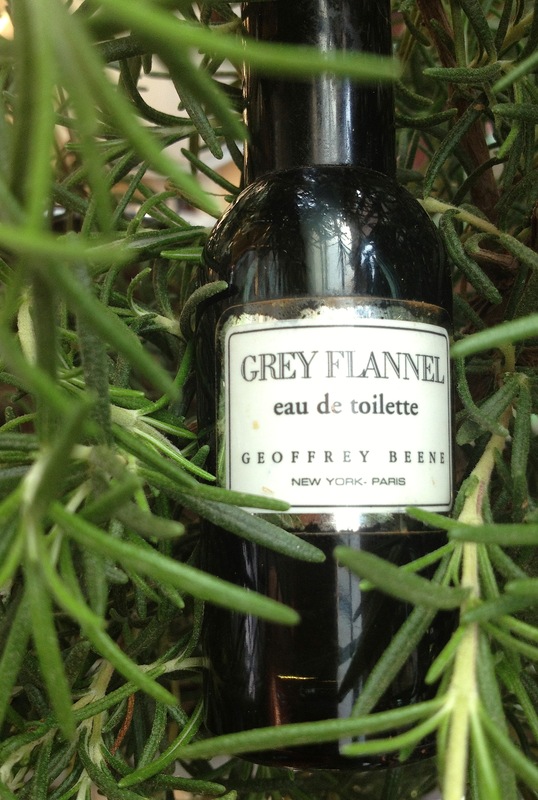 Indeed Grey Flannel is a classic and you have a wonderful “scent memory” of it! and I am enjoying perusing your site! Thanks Brie! I am enjoying reading all of the stories by you and Jordan. I love this review, Brie. 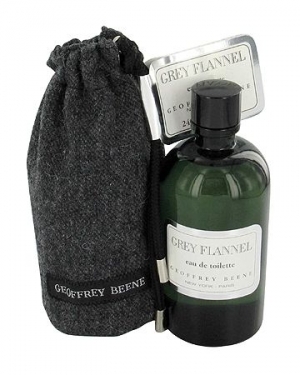 Grey Flannel was one of my first fragrance purchases, and I still wear it to this day. Also, I am thankful that I was influenced by others to look past gender expectations in the wearing of fragrance. There are many “feminine” fragrnaces I love to wear. thank you James! From the time I was a little girl I wore what I liked regardless of whether or not it was appropriate (and quite often got me in trouble…imagine a chypre on an eight year old!) I would love to know which of the feminines are your favorite! Feminines I love include: Guerlain Shalimar and Jicky. I’m trying to acquire a taste for Mitsouko, but I’m not there yet. I love Chanel #5, 19, and 22. Sarah Jessica Parker Lovely is another one. Also, many of my most worn masculines are frequently worn by women: Dior Eau Sauvage, Chanel Pour Monsieur and Caron Pour un Homme, for instance. James- I love your perfume style! Shalimar and 22 resonate with me on so many levels. Same here with Mitsouko..perhaps because I never tried vintage. What I meant to convey was that Mitsouko doesn’t quite suit my taste as well…but I never tried vintage and perhaps if I had I might think differently. Thanks for your compliment, Brie. I agree that formulations make a lot of difference. What other “masculines” do you like? Sounds like I am your female scent twin 😀 !!! That is NOT an oriental! Surely not….A violet green aromatic, or something of that nature I would say…. 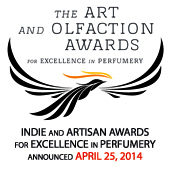 I always defer to you as the fragrant expert….indeed a green aromatic…. Thank you Ginza in The Rain. There are some rather lazy classifications floating around. I will edit the post despite Google frowning on such behavior! I work on my own. And yes, I discuss perfume all the time. I have so many voices in my head …………………..
Oh goodness CQ…anyone that can make me laugh as hard as you can will surely be a friend for life! I DON’T work on my own and when it is not perfume despising co-worker’s voice nagging me about my perfume choices I also have my own “inner voices” chattering away! Great story, brie! I smiled reading it. 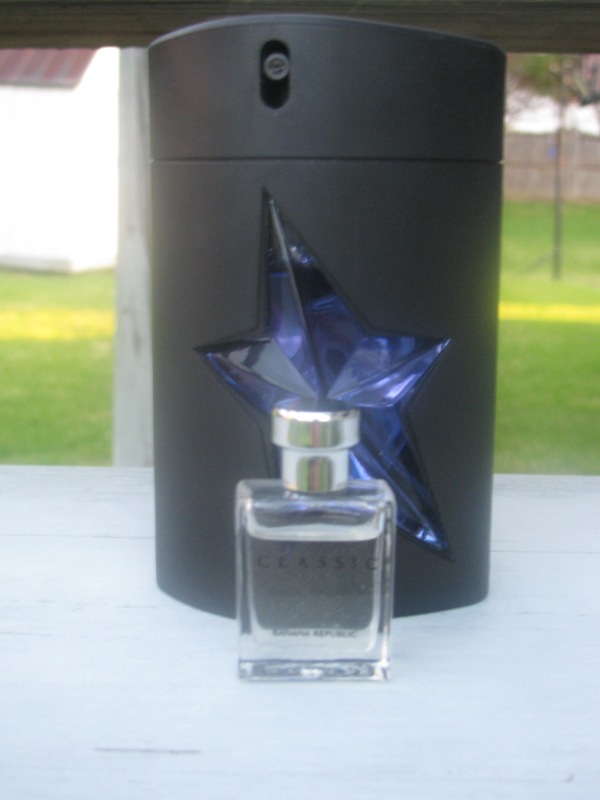 Do not enter me into the giveaway – I have this perfume. But once again, great story! thanks, Undina! How I envy you! there are a few individuals at work who enjoy essential oils and some of my blends but no one really talks “perfume”. and I may add that you have had a tremendously positive influence on me as well in terms of new loves/lemmins’ 😀 !! THE VERY BEST !!!! It’s been fun being introduced to so many contemporary lovelies that I never encountered by you! You have done a good job taking me out of my “vintage” comfort zone. I Did read this great review Brie and neglected to tell you how much I liked it. And I do like it so very, very much!! We both can agree that Grey Flannel is something special. I love reading different takes/points of view and stories on my favorite perfumes….and your post was especially poignant for me! Always fantastic having you here! Oh now I am blushing! Thanks Brie! :D!!! and I am still laughing at my mess-up with that darn “like” button-LOL!